The account below gives the story of how Ruth Hill, who works in Public Health for Dudley Council decided to get fit and raise money for a local charity. 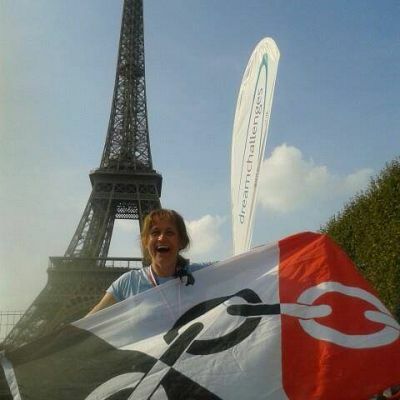 Currently she has raised over £2000 and has one of her challenges still to do. Most recently she completed a 244 km cycle ride from London to Paris. “At the start of 2014, I set myself a new year’s resolution to participate in several challenges over the year to try and get ‘fit’ as well as raise as funds for Mary Stevens Hospice. I chose Mary Stevens Hospice as not only did they care for my dad and a colleague in their last stages of life, I felt it was very important to support local charities. So to date, I have completed the Wolf Run, a 10k obstacle course, the 10k Wyre Forest Run, 5K Colour Run and then last week the 244 mile cycle ride from London to Paris over 3 days. I also organised a big charity evening at Hagley Cricket Club which was supported by the band Cover Up. I have one last challenge to do which is the Birmingham Half Marathon in October. The link to my JUst Giving page is: https://www.justgiving.com/Ruth-Hill23/ which also gives a bit more information on ‘my story’ ”.